Space Sand is truly the closest thing to sand from mars and will not get wet. 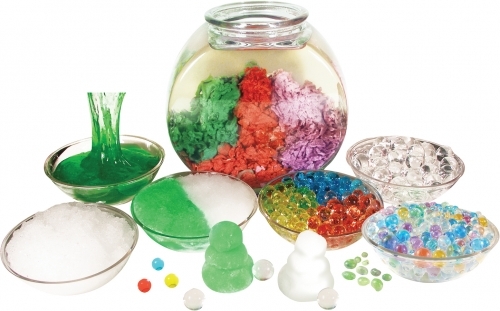 Expanding Space Spheres will mimic the expanding universe by growing over 200 times their size when placed in water! 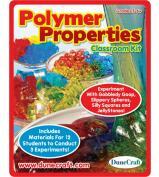 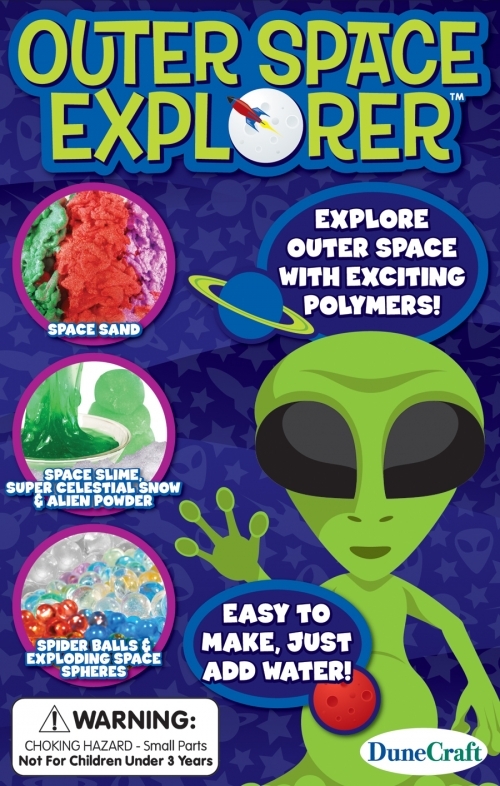 Make your own green, gooey Alien slime, solidify water and even mould your own Extra-terrestrial friends! 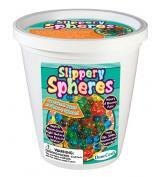 Watch in amazement as Alien Spider Balls open and a multitude of multi-coloured Space Spheres pour out and expand. 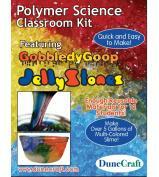 See how much you can learn exploring outer space with DuneCraft today!